Located just east of Bali, Lombok is a tropical paradise that really lives up to Bali's reputation for unspoiled natural beauty. Gorgeous beaches, majestic waterfalls and the awe-inspiring volcano of Mount Rinjani are just some of the natural wonders that draw tourists to this tropical island. However Lombok is not the tourist hub of Kuta and relatively few tourists, even in peak season, you are free to enjoy the peace and tranquillity of the island. Lombok is steeped in a deep and enduring indigenous culture which has withstood the pressures and influence of modern society. This is not to say that the island is a remote or uncivilised area, all your creature comforts are still available here however it is the strong remanent culture and history of the Sasak people that are one of the many unique attractions of this island. The natural landscape and traditional way of life which has carried on unchanged for hundreds of years still hosts five star resorts and global corporations, but these are the exceptions not the rule. The local handicraft is weaving and Sukarare is a great place to see the locals at work using their traditional weaving process in Desa (village) Sukarana. The price of weaved goods should be cheaper than in Sengigi shops and there are many crafts available, often made from highly attractive, brightly coloured threads. Another popular attraction is Narmada Park (Taman Narmada) just 10 km east of Mataram. The park features a fountain called 'Youth Fountain' and is believed to give long life to those who drink its water. The park was once a relaxation place for the king during the time of feudalism and presents a traditional Hindu temple and swimming pool and is now a great place to see Lombok locals at play. There are also a number of activities for the more adventurous including the ever popular water sports, snorkelling, surfing, scuba diving and fishing charters as well as biking tours and treks around the island. Traditional massage is a great way to relax after a day of action. 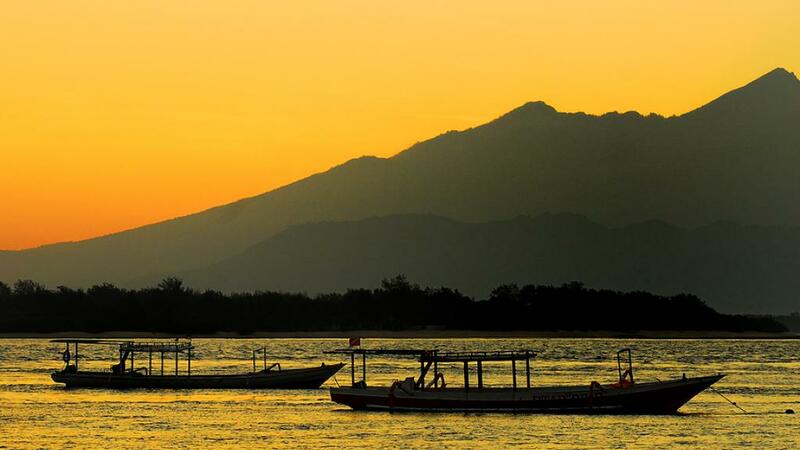 As a tropical island, Lombok's weather and climate is hot and humid, however it is drier than Bali. Lombok is a popular option during the wet season which occurs between October and December as it rains less on Lombok, with showers rarely lasting more than an hour or two. The peak tourist season falls between May and August as the weather is perfect for exploring the island.